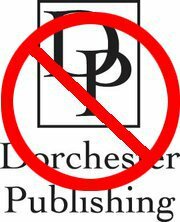 Dorchester Publishing has been screwing their authors over, and some of them have decided that they’re as mad as hell as they’re not going to take it anymore. To read about just how Dorchester have been behaving, and what you as readers, writers, artists, etc, can do, go here. This entry was posted on March 27, 2011 by brettmcbean. It was filed under General Horror, Genre News .